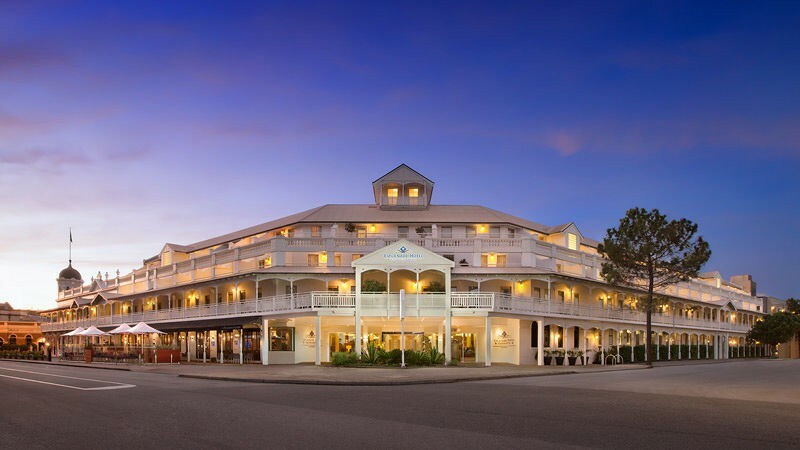 Esplanade Hotel Fremantle - by Rydges is located in the heart of Fremantle, overlooking the parklands and harbour. 20 minutes' drive from central Perth, this hotel offers 2 outdoor heated pools and a fitness centre. A full buffet breakfast is available. The hotel has 2 on-site restaurants with a great selection of international cuisine. The Atrium Garden Restaurant buffet serves a variety of special dishes, whilst The Harbour Master features tapas, grill and local seafood. Enjoy a drink in one of the 2 bars including, Marine Lounge Bar and the Ball & Chain with craft beer on tap and great pub-style food. Guests enjoy a choice of spacious and comfortable guest rooms and suites, and some rooms offer a private balcony overlooking parklands. All rooms feature a TV with satellite channels. Esplanade Hotel by Rydges is within easy walking distance of local shops, restaurants, markets and museums. Fishing Boat Harbour is just 400 m away and Fremantle Markets is just a 3-minute walk away. Perth International Airport is a 30-minute drive. Please contact the hotel directly for any booking queries, online bookings have closed.